Week two was to recognize someone in the service area, a postman, waitress, clerk, salesman, etc. I got my card done yesterday for this and was too late to post this on Jennifer McGuires site. I still wanted to share it. It is also being submitted to the SweetStamps Anything Goes challenge. This card went to my niece Kelli and her husband Cory. They just got married in August and she is in her last year of college for nurses training and she also works 40 hours a week. Cory may work two or three jobs so I think they are toadally awsome. The leaves and tree are a Simon Says stamp and also dies. 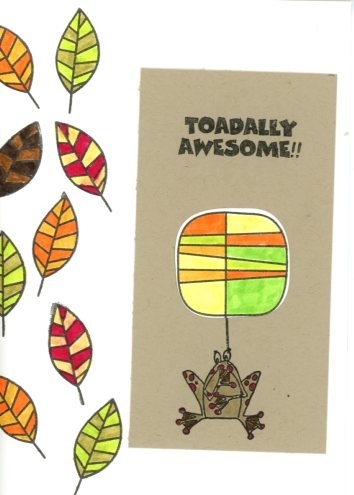 The toad is by Stamps by Heather and Judith and the sentiment is Art Gone Wild. I also sent along some cookies for some real quick energy pick ups. I think they need it! 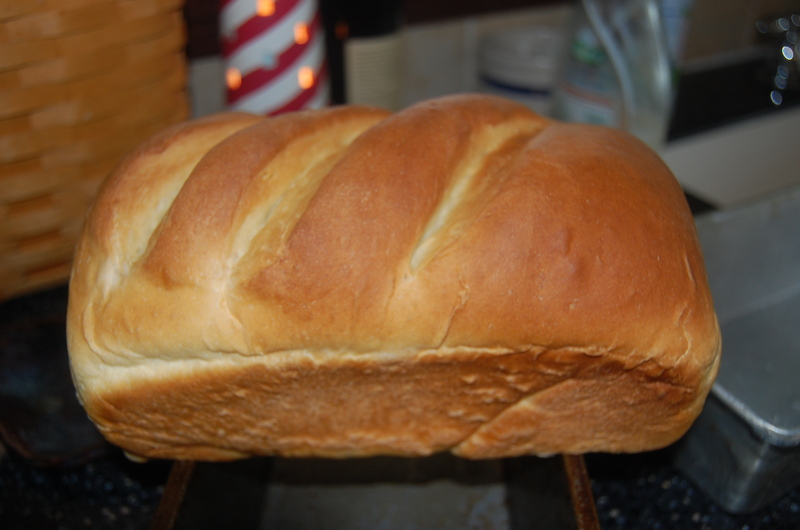 A loaf of honey/buttermilk homemade bread. 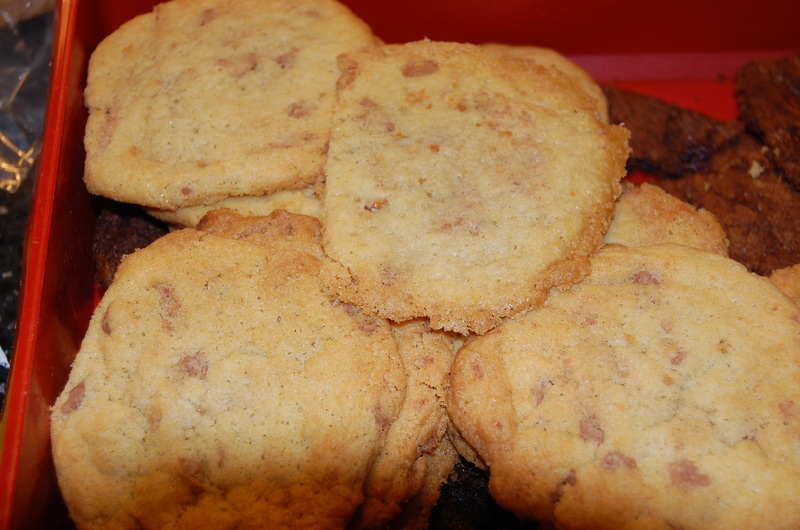 I was a good batch! And also a pasta dish for a meal to fill their belly when they get home from work. They are a busy couple and Kelli is going to make a wonderful nurse. 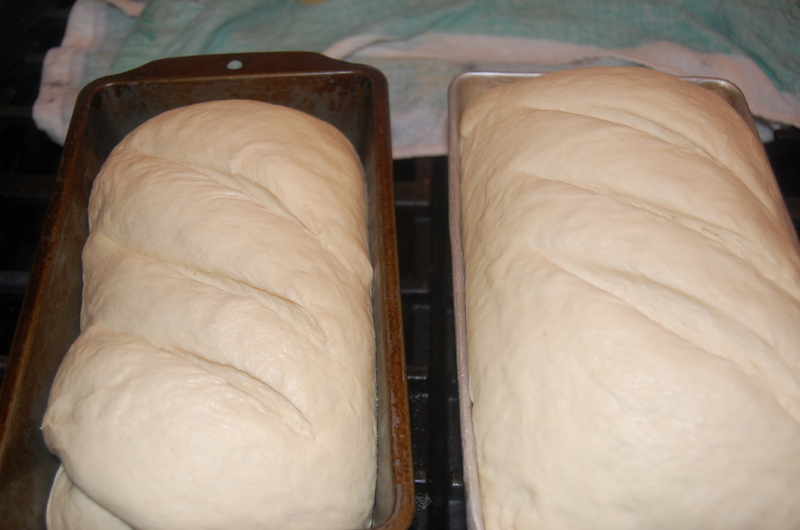 I love to make bread and I do it the old fashioned way, mixing it by hand, kneading it on the counter. 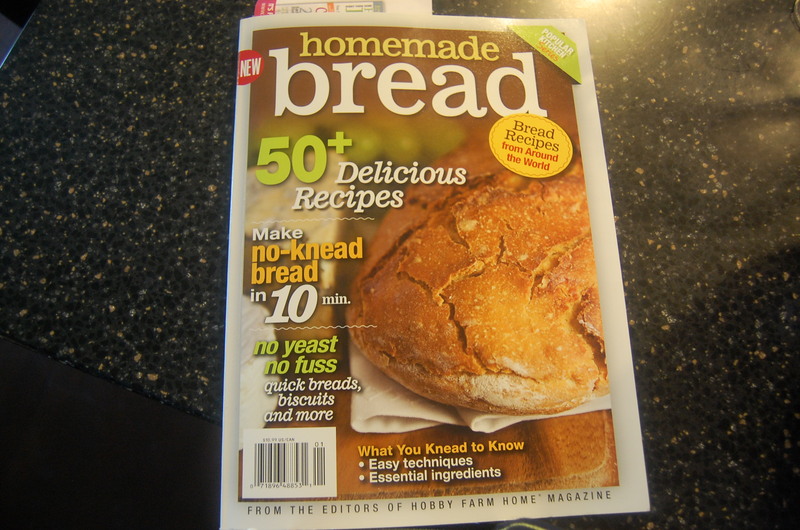 I picked up a magazine that has recipes for homemade bread a few years ago and I don’t think I used any of the recipes yet. So I pulled it out today and tried the first one. It was fabulous! 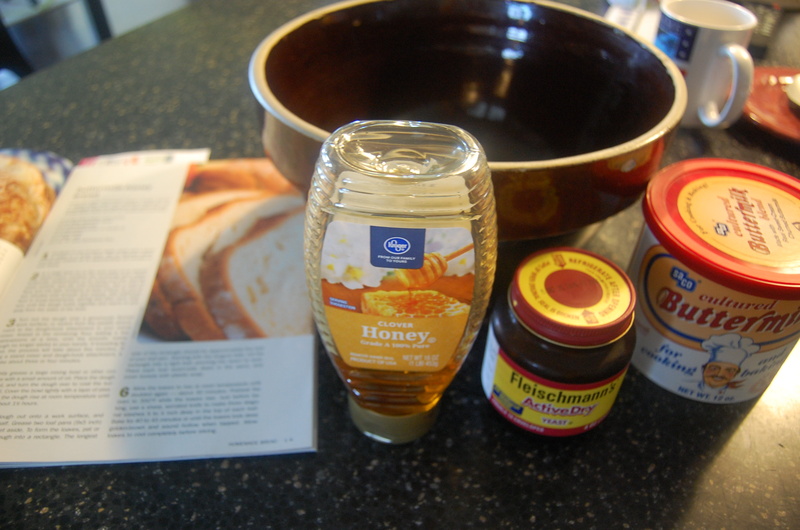 Buttermilk-Honey Bread. I use Fleischman’s in the jar and keep it in the refrigerator. I also keep dry buttermilk on hand in the refrigerator. The front of the magazine in case you are looking for one also. I have so many great cookbooks but I find myself going to the internet to find a recipe. I am going to try to use my cookbook collection more. All the ingredients except the flour. 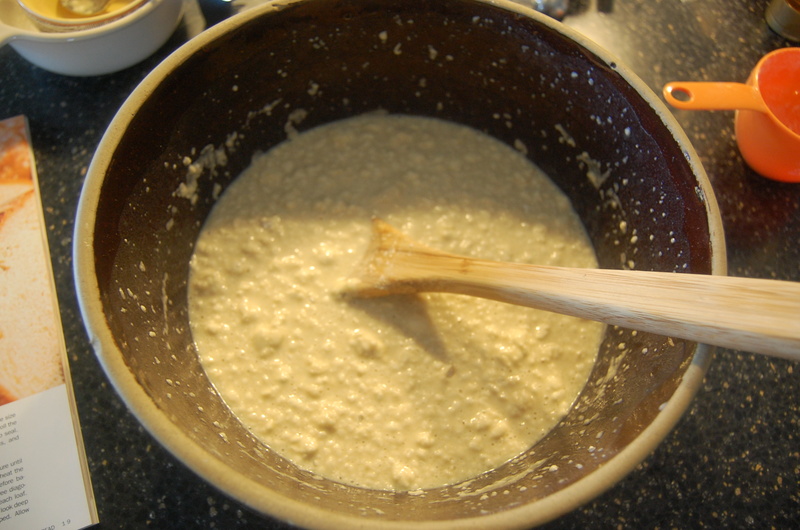 with the complete 7 1/2 cups of flour. 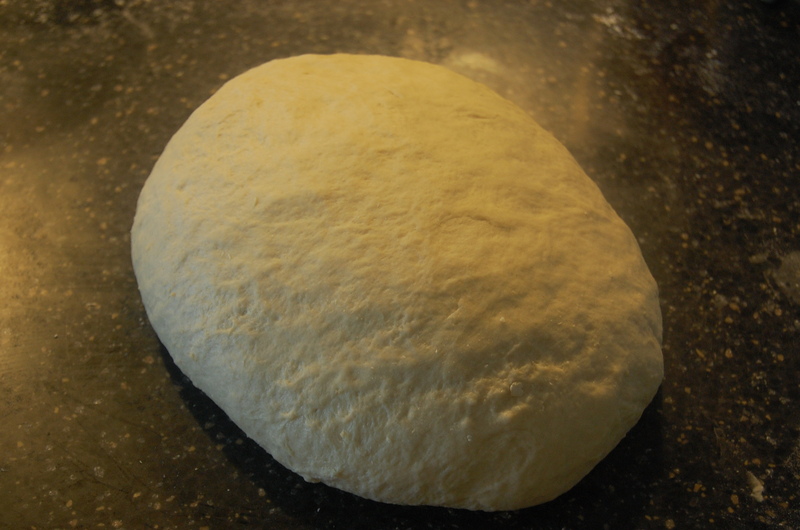 Ready to knead. Dumped out on the counter with all the flour that didn’t get mixed in. 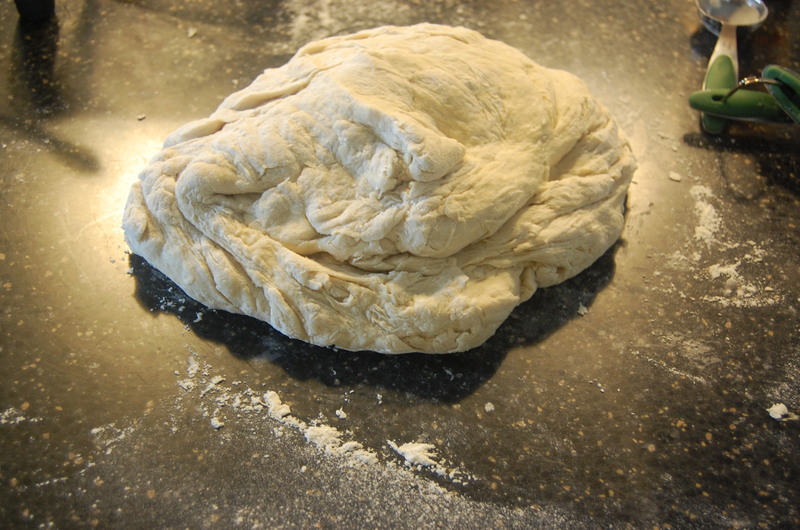 It will get kneaded in. 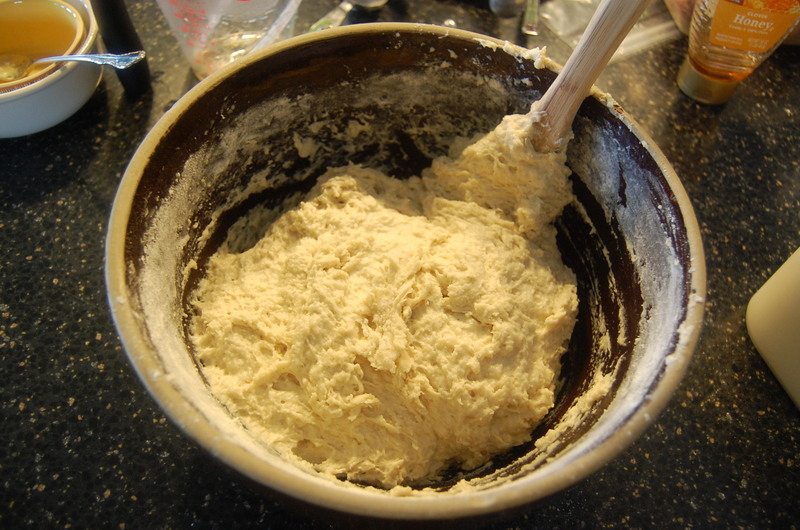 I also add a large spoonful of flour as I knead it if the dough is stickky. 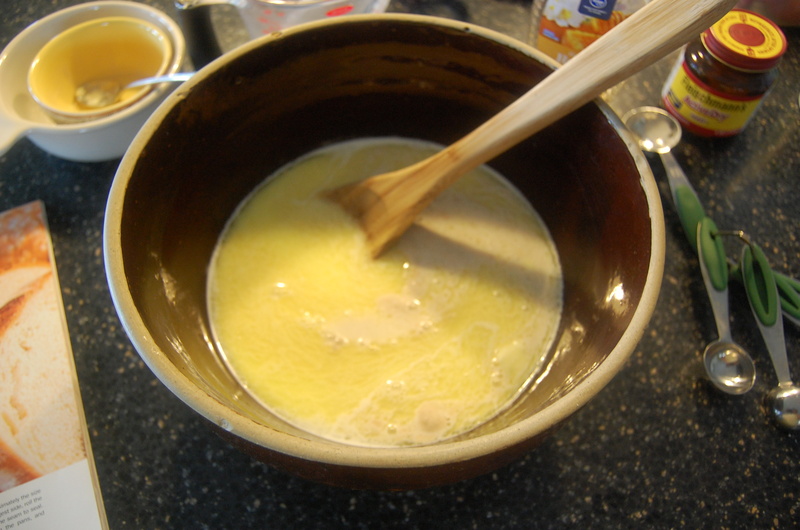 While I am kneading the dough I put hot water in the mixing bowl for two reasons. 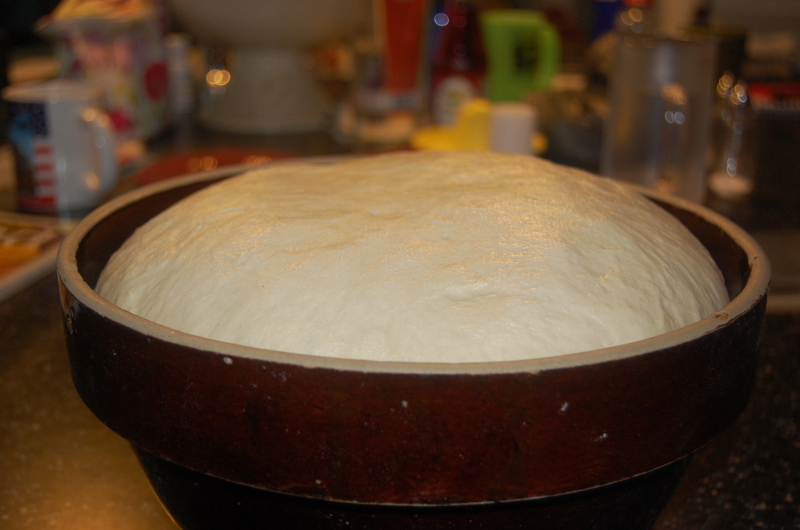 One is to heat up the bowl to help the dough rise. The other makes it easier to get the bread off the sides for cleaning. Here it is, soft as a babies behind. It will be going back into the warmed bowl. 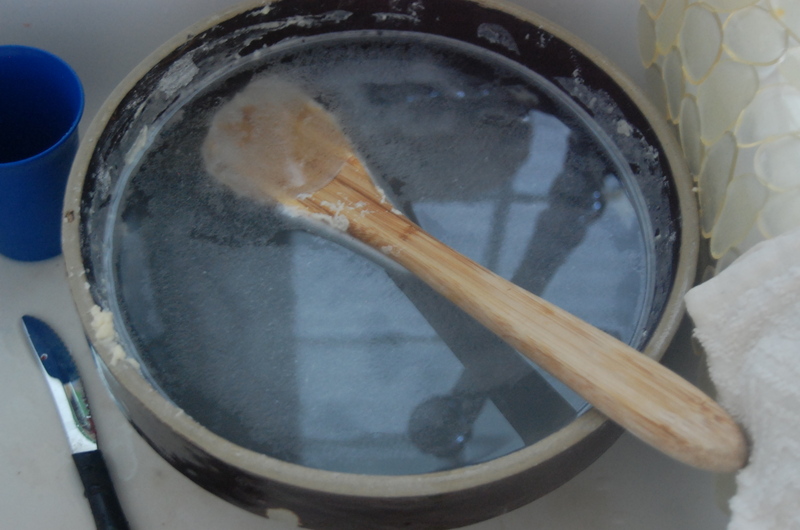 I also put a towel damp with warm water on top for more warmth. 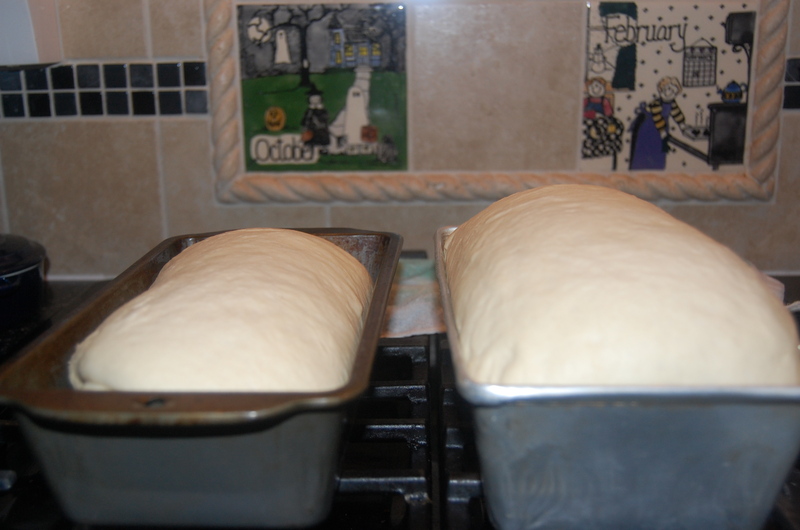 After 1 to 1 1/2 hours it has risen to double the size. One thing I would change in the recipe would be that I would make a third pan. 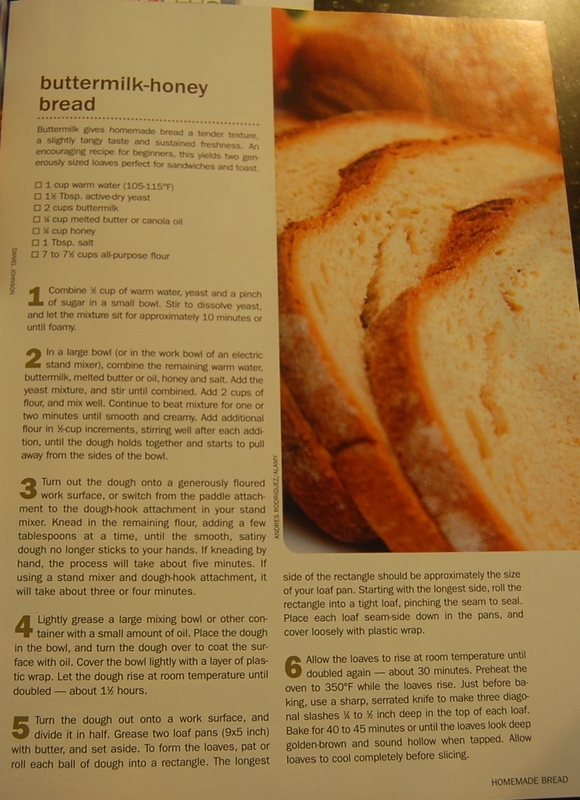 It called for only two but 3 loaves could have easily been made. The recipe called for these slits to be made on the diagonal. It gave it a nice touch. 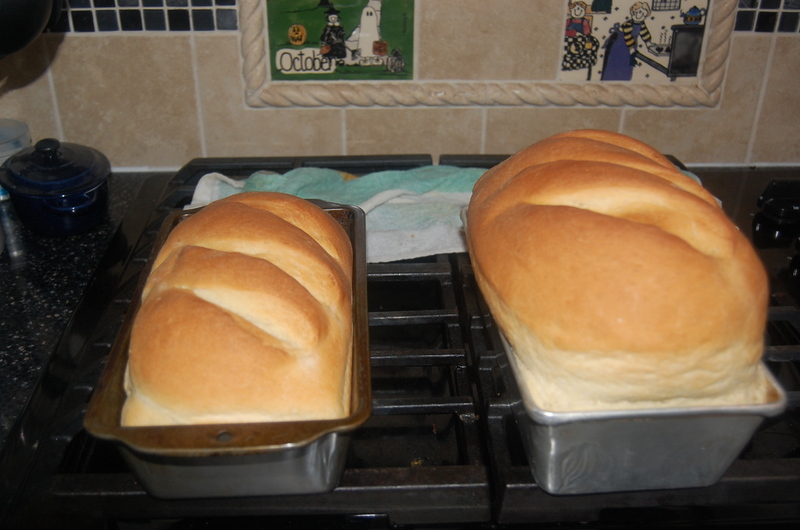 Here they are, warm and golden brown, but the one on the right is too tall. 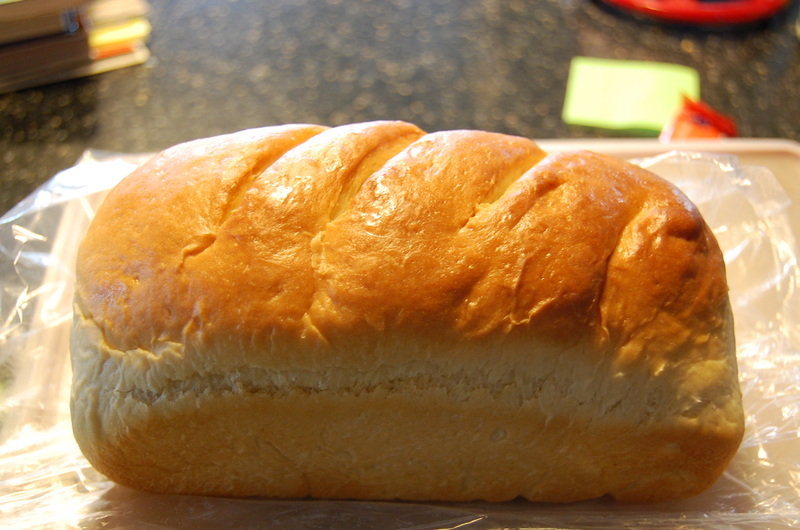 A perfect loaf of bread. So good when it is warm. Give it a try, you won’t be disappointed. Thank so much for stopping! Robin on What’s Your Choice?